LGThe new 34-inch ultrawide monitor from LG. LG unveiled two new 32-inch and 34-inch monitors on Thursday. 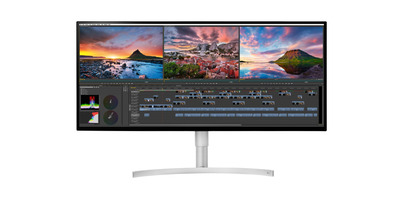 The 34-inch ultrawide model will have a “5K resolution” and a nearly borderless display. Both monitors will be introduced at the Consumer Electronics Show in January. LG on Thursday added two new monitors to its lineup – including a 34-inch, “5K ultrawide” option. LG introduced the 32-inch 32UK950 and the 34-inch 34WK95U models, both of which are set to be unveiled at the Consumer Electronics Show (CES) in January. LG didn’t say yet how much the monitors are expected to cost. 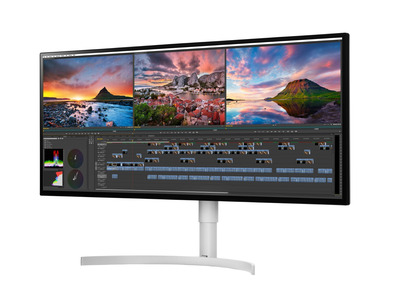 LG said the 32-inch monitor will have brighter, more intense colours, the ability to set up dual 4K monitors, and Thunderbolt 3 connectivity, which means it can connect to devices like a MacBook Pro with a single cable. 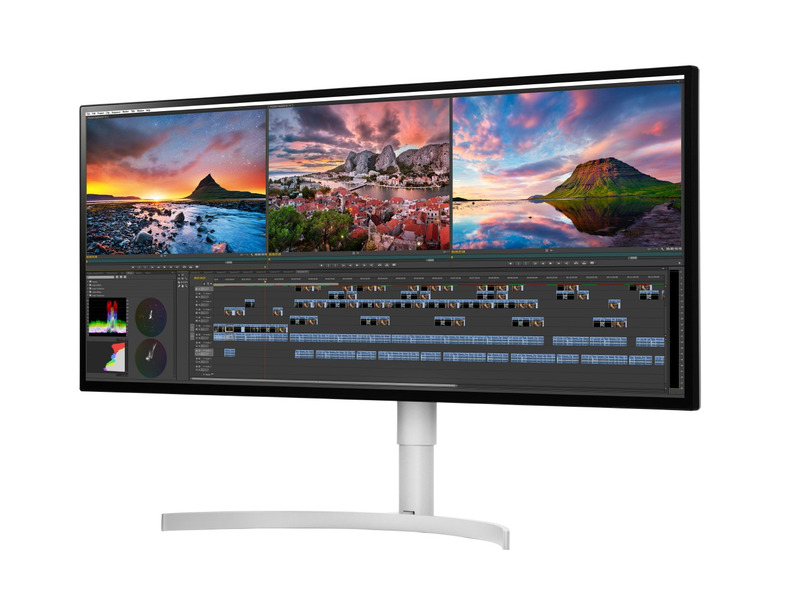 The larger 34-inch monitor has a 21:9 aspect ratio and what LG calls a “5K resolution.” But as The Verge’s Sam Byford points out, the monitor has the same vertical resolution as LG’s 4K monitors at 5120 x 2160, meaning it’s closer to a 4K ultrawide monitor. That said, it’s still expected to be quite impressive. 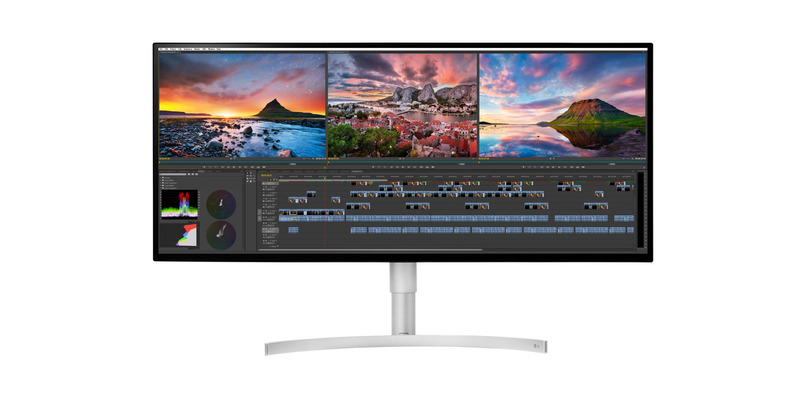 LG says the 34-inch monitor will also have excellent colour reproduction capabilities, Thunderbolt 3 connectivity, and a near-borderless display.